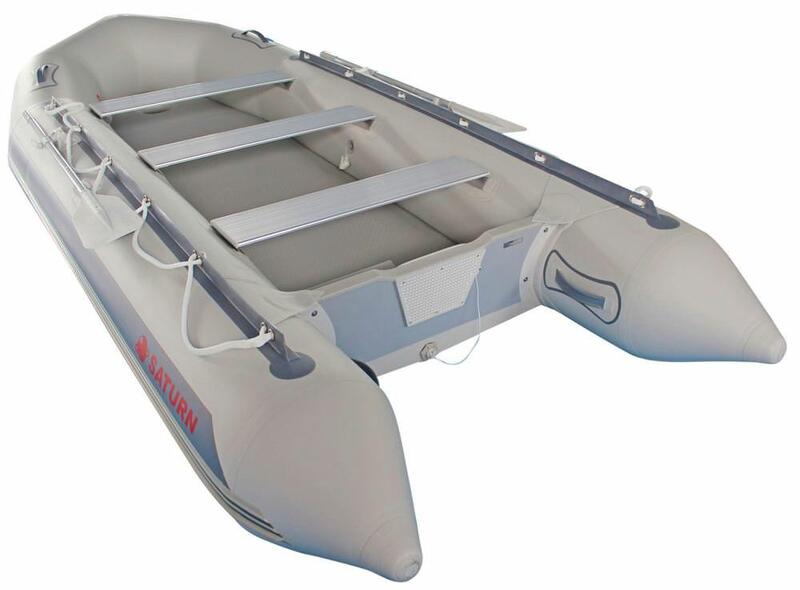 The 13.5' inflatable motor raft from SATURN continue line of extra affordable boats. This boat comes with 3 aluminum benches and can take up to 25HP outboard motor. It has larger cargo and passenger capacity than SD360 or SD380. Saturn SD410 comes with heavy-duty sectional aluminum floor or high pressure air deck floor. Hard floor provides excellent platform for fishing, diving, snorkeling or pleasure cruising on a weekends. While it does take time to assemble aluminum floor, compare to quick deployment of popular air deck floor, hard floor has its benefits. Air floor allows quick deployment and folding back into the bag. Also, air floor is lighter and make boat much lighter. Holds up to 7 persons maximum or 5-6 people comfortably. Equipment: aluminum oars, repair kit, 3 seat benches and 1 carry bag. 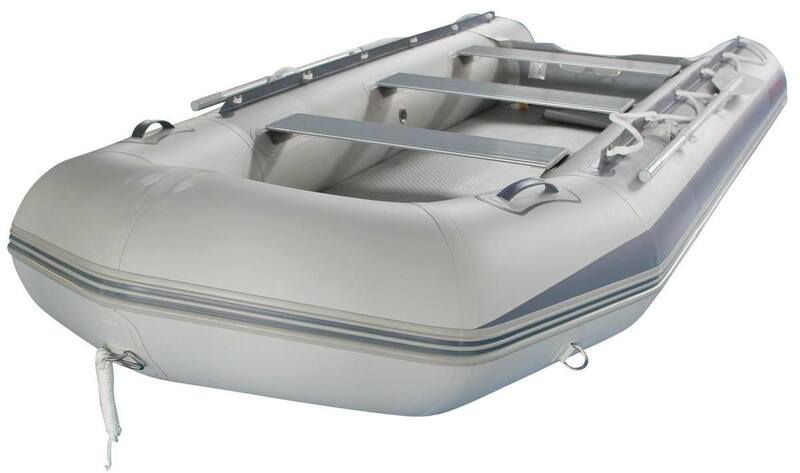 Video of Saturn SD410 Inflatable Boat with 15HP Outboard. 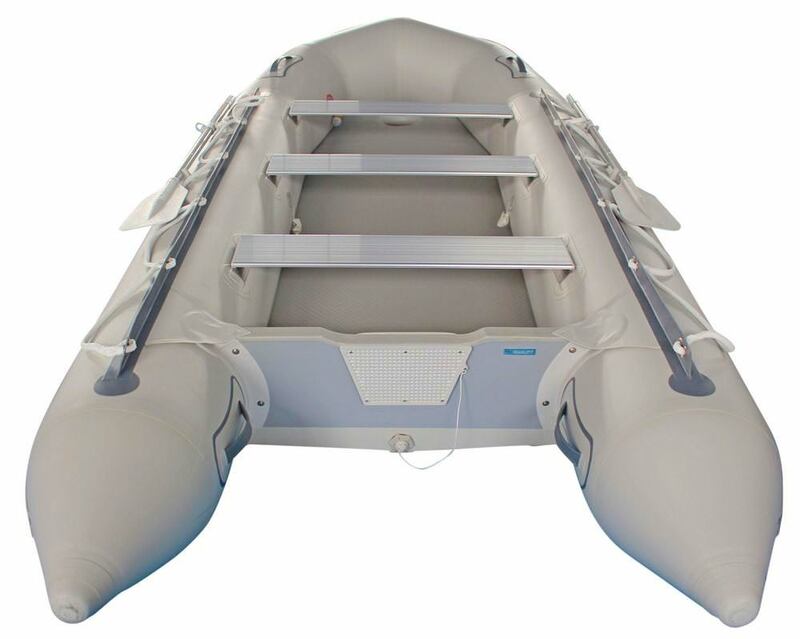 Customer's Video of Saturn SD410 Inflatable Dinghy Boat. Very good value; excellent service and question followup. These guys are all over making sure you are happy with your purchase. Highly recommend. I just wanted to thank you guys for making me into a boat owner. I didn’t think I could afford it, but inflatable boats are so much less expensive and easy to deal with than regular boats. I bought the SD410 from you guys, and it’s perfect for getting away from the grind for a day. That’s exactly what I needed. Thanks again.